Game Tourism is playing a game with the primary aim of exploring its world, without engaging in any active conflict such as combat or stealth. Whether conflict is bypassed with cheats, mods, or built-in functionality, the aim is to refocus attention on the game's architecture, aesthetics, storytelling, and atmosphere. Feel free to think of it as a form of art modding or glitching. In theory a huge number of games potentially support tourist play. Here's a list of the games we've documented so far. If you'd like to submit one, email us. Unless otherwise stated, instructions are intended for the PC (Windows/Mac/Linux) versions of these games. Download this mod to remove the Alien from the game. Note that this is only partial tourism, as non-Alien adversaries are still present and hostile. While running the game, remove the enemies by changing the name of the enemies folder within the entities directory to OLDenemies. Steam\Steamapps\common\amnesia_the_dark_descent\entities is the Steam location. Full guide here. Play the "Discovery Tour" mode (coming 2018, according to Ubisoft) to tour the game's ancient Egyptian setting without combat or story and with guided tours from historical experts. Thanks to Jonathan Prior for this info! Thanks thecnoNSMB for confirming that this also works with Fallout 4. Type tcai at the console to toggle combat AI. 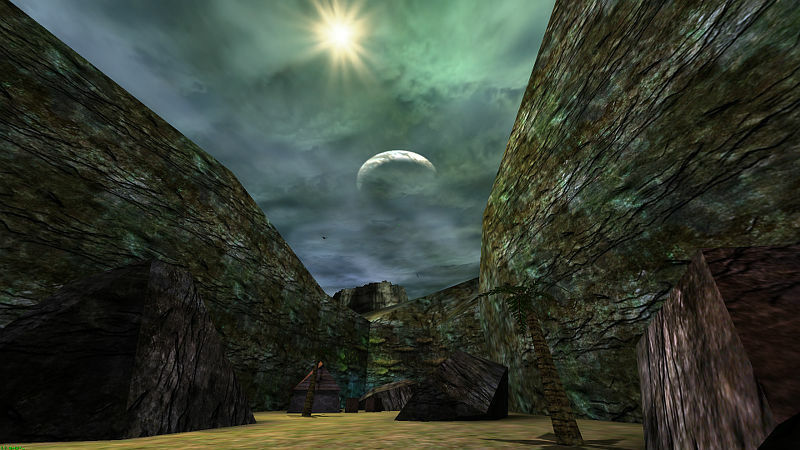 Characters may turn hostile, but will not attack the player. Morrowind only has tai, which turns all AI off. You can stop an NPC attacking you by opening the console, clicking on the attacking NPC, and entering the StopCombat command. Type LAREDLITE during gameplay to freeze all enemies. Thanks to James Forbes for this info! Press T, then Tab, then type whiteflag on to freeze AIs. eriamjh on enables flying mode, which may also be useful. Download my mod that makes the player undetectable, which means enemies will never attack. Copy the Tourism.u file to your DeusEx\System\ folder and run in-game by typing open 01_NYC_UNATCOIsland?mutator=Tourism.Tourism at the console. NOTE: This mod is experimental and not fully tested - use at your own risk, though any danger to your install is quite low. Let me know if you run into progression-blocking problems with this! Once it's been better tested I'll do a proper release with a README and such. Run the game from the command line with the -nomonsters switch. Note that this makes many boss maps uncompleteable without other cheats. This works for all classic Doom games (Ultimate Doom, Doom II, Final Doom), and should work for most Doom engine games such as Heretic, Hexen, Chex Quest, Strife. An alternative for those running a modern version of ZDoom is the Tourism Deluxe mod, which hides and auto-kills monsters in a way that much more closely resembles natural progression, and also provides some options for customizing your exploration experience. Type dnmonsters to deactivate monsters. Monsters will spawn, but won't attack and will blink out of existence as soon as the player sees them. Open the console by pressing ~, and type notarget. Enemies will still be present but will not attack, with the exception of "brush entity" turrets such as tanks and alien gun emplacements. Besides these there are still many environmental hazards in the game that will kill you, so if you want to play through in peace you can also type god at the console to make yourself invulnerable. Note that you may need to first type sv_cheats 1 and reload your game before you can activate god mode. Open the console by pressing ~, type sv_cheats 1 at the console to enable cheat codes, and type notarget to disable AI's ability to target (aggressively or otherwise) the player. This may break some scripted sequences, such as the early part where Barney gives you the crowbar - he will act as if you're ignoring him. Type notarget again to re-enable as needed. ai_disable disables AI entirely, but this breaks more sequences than notarget. The developer implemented tourism as a difficulty mode, simply select Tourist difficulty when starting a new game. Since the 1.1 Foundation Update, you can select "Creative Mode" at the launch screen. In this mode, you cannot take damage and do not consume resources of any sort. You must still collect upgrades and blueprints to reach red, green, and blue star systems but the galaxy is much easier to explore freely in this mode. As with NEON STRUCT, select "Story" difficulty and you won't have to worry about the game's stealth elements. Select "Tourist" in the Start New Career screen. Thanks for the shout-out, Brendon! Download my enemy-removing mod and see instructions in the README for how to run it. QuakeC source code is included in the download, as well as versions of this mod compiled for Quake's two retail expansions: Scourge of Armagon and Dissolution of Eternity. See also Ghosts I-IV for Quake for an atmospheric tourism experience set to Nine Inch Nails' 2008 dark ambient album Ghosts I-IV. In "Travelling Mode", you move through stages normally but cannot die. Unlock Travelling mode for each stage by completing it once in regular gameplay. You can also unlock the "Immortal" invincibility cheat by clearing the game in all Direct Assault modes. See this FAQ for details. As of December 1st 2017, you can play the game in "Safe Mode", which makes all monsters non-hostile. Previously, the colorfully-named Wuss Mode: Monsters Won't Attack mod did more or less the same thing. The Traveler Mod "removes all damage from anomalies and radiation, and gives you friendship with all factions and creatures. Even the mutants are friendly with all the factions." Note: the version of the Traveler Mod (1.0) on NexusMods and other sites does not work properly with the Steam version of STALKER - the game will crash when you attemp to load any savegame made with this version. The version linked on this page is a fixed version, which I've dubbed version 1.01. System Shock 1 has a very unique difficulty system: at the beginning of the game you can select the difficulty of individual elements, including combat! Setting Combat to difficulty 0 makes the enemies stand around passively, allowing you to explore and complete the game unharmed. Download my mod which makes the player neutral, which means enemies will never attack. See the README for instructions on use and technical details. Download my enemy-removing mod and see the README for instructions on use and technical details. UnrealScript source code is included in the download. Note that this requires the 227i patch from OldUnreal.com, which also makes the game run quite well on modern systems. In summer of 2015 I streamed a playthrough using this mod, with level design commentary. The "cakewalk" difficulty enables a cheats menu, which toggles invincibility on by default and also contains options for passive enemies.